WhatsApp will be coming with a new update that has ‘Unsend’ option. Once this feature becomes live, it will help us retrieve embarrassing texts sent within five minutes after we’ve hit the send message button. Remember how retract messages works on Blackberry messenger? That is the idea – with more! The Facebook-owned messaging service used by more than 1 billion people worldwide is still testing the feature in the latest WhatsApp beta release. It is believed that users can “unsend” messages, removing them from a receiver’s phone before they have had a chance to read them. According to Twitter account @WABetaInfo, the ‘unsend’ feature was first noticed in the Android v2.17.150 beta, which could soon be available on WhatsApp’s next official iOS update. Besides the ability to revoke messages, WhatsApp users will be able to edit misfired messages that have been sent within the past five minutes. That is, when users pressed on a message, they will see two options – ‘Edit’ or ‘Revoke’. ‘WhatsApp Web 0.2.4077: many improvements for the revoke feature & you’ll be able to unsend messages sent within 5 minutes (DISABLED NOW)’, the account tweeted. Like the policy shake-up, the new feature is likely to be optional if it is introduced, with users being able to turn it on and off in Settings in a similar way to the “read” and “last online” notifications. Alongside the unsend button, WhatsApp is also trialing live messages that let users send information that changes in real-time for a certain period. For example, those trying to find one another on a busy street can send their live location for five minutes until they find one another. Another update expectedly coming to WhatsApp include the abilities to shake your phone within a conversation to report it as spam and to reply to status messages. WhatsApp Android version 2.17.148 is said to add new font shortcuts for bold, italics, and strikethrough. This will remove the need to add text inside asterisks while typing for making it bold, or type phrase between underscores to italicize. Note that the menu item might be different. There’s also a new ‘change number’ feature, which allows users to more easily tell contact if they’ve got a new number. 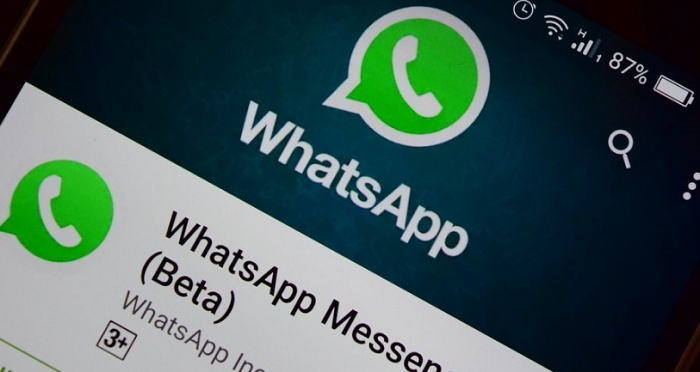 These new improvements are coming few weeks after it announced that users will soon be able to use WhatsApp as a business tool to talk to WhatsApp users directly. Though WhatsApp has not officially confirmed the new features but they are welcome developments. What are your thoughts?